A member of the extended Brew family, Dean Bartoli Smith, suffered a loss recently, the death of his mother from cancer at the age of 76. Another Brew-er, the writer Rafael Alvarez, offers a tribute that captures her spirit – and an earlier era in Baltimore. When Dona Bartoli was a girl of six or seven back in the early 1940s, she was often sent from her Iris Avenue home in East Baltimore to stay with grandparents in the small town of Berwick, Pennsylvania. There, the Ciampi family – the Italian immigrants Pietro and Philomena, her mother’s parents – ran the Wee Green, a rural tavern catering to farmers, truck drivers and laborers. For some reason, she called her maternal grandfather “Pop-Pop Rebel,” and Philomena – believed to have lived to be 106 – adopted the name “Elizabeth” in the New World. Such discipline served the strong-willed girl well in a long and productive life before her death in Italy on January 29, 2019. For the past five years, the Baltimore born-and-bred attorney lived in the 16th century Villa Torquato in the Tuscan mountain town of Montecatini Alto. With her husband Larry Lowrimore, with whom she renovated the villa, Dona ran a bed-and-breakfast out of their storybook home surrounded by olive groves they harvested for table oil admired on both sides of the Atlantic. The “Ciampi Room” of the villa is furnished with oak antiques the couple refinished when they lived in Maryland. Larry, who learned many of the Bartoli family recipes, was head chef. Which just goes to show that you can reinvent yourself as a contessa on the other side of the world and good ole Bawlmer is still going to take over when the game is on the line. You can reinvent yourself as a contessa on the other side of the world. Good ole Bawlmer is still going to take over when the game is on the line. Ah, the sauce. My goodness, the meatballs. 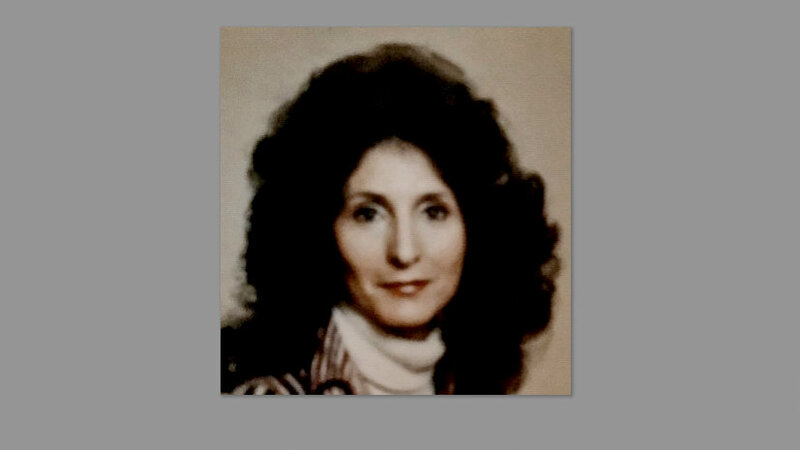 Born in Baltimore’s old Franklin Square Hospital at Calhoun and Fayette Streets, Dona Carol was the first of three children born to Dino Bartoli, a night-shift yardmaster at Bethlehem Steel in Sparrows Point, and Carolyn Ciampi Bartoli, who ran a beauty parlor out of family homes in Orangeville and, after 1956, 3011 Oak Forest Drive in Parkville. Carolyn – who listened to Don Larsen’s “perfect game,” on radio in the ’56 World series while scrubbing the floor – died in 2006 in Bethlehem, PA. Dino, who also loved baseball and taught his grandsons to hit line drives, followed his beloved to the other side a year later in Fort Myers, Florida. Dona graduated 8th grade from St. Elizabeth’s parochial school on East Baltimore Street above Patterson Park and went on to the Catholic High School of Baltimore on Edison Highway, graduating president of the Class of 1960. Invariably the smartest person in the room – and, like her mother, always the best-dressed – Dona was a beauty. But her intellect and innate sense of right-and-wrong complimented her in ways that mere beauty could not. Jim “Snuffy” Smith – who met his future bride on the beach in Ocean City while they were high school kids – learned of Dona’s integrity on their first date, a day trip in his father’s car. “I was probably 15, it was 1957,” said Smith, a former varsity basketball coach at the Bryn Mawr School. Snuffy learned a lot that night, particularly Dona’s low tolerance for teenage knuckle-headed foolishness. On a moonlight walk along the boardwalk, Snuffy noticed a wooden “Beach Patrol” sign that had become loose. He said he was going to steal it and bring it back to Baltimore. A souvenir, perhaps, of what he hoped would be a magical evening. Dona responded with an unequivocal frown – and perhaps a few chosen words – and the sign remained in place. “She was never submissive to anyone, I don’t even think her parents wanted her to go as far as she did,” said Snuffy. Ultimately, Dona was charmed by the handsome athlete and they began dating seriously through Snuffy’s junior year at the University of Baltimore, where he played varsity basketball. On St. Patrick’s Day 1963, with Dona expecting their first child, the couple were married at St. Agnes Roman Catholic Church in Catonsville. A second son, Brendan, followed in 1966 – born on the day that Frank Robinson hit the only ball to ever sail completely out of Memorial Stadium. By the time the boys were in grade school, the marriage had collapsed and Dona set out to make it on her own, taking a handful of credits she’d earned after high school at the old Villa Julie junior college (now Stevenson University) and earning a degree in sociology Morgan State University. Her dreams did not come to pass without hard work and struggle. “Before my mom met Larry, my brother Brendan had very bad asthma and she fought and scratched and clawed to keep him alive, raise us, do her homework and work nights,” said Dean. It was Noelle’s mother – Senie Bartoli – who set her big sister up that night in 1974, intuiting (a bullseye) that Larry would fall for Dona. They met at the old Tom Jones nightclub in Towson when Dona was a single-mother and full-time student working the coat check room. “My earliest memories of Aunt Dona are her and Larry teaching me the ABCs,” said Taslitz, who remembers her aunt taking her to lunch at the fabled Hutzler’s Tea Room on Howard Street in old downtown Baltimore. Dean remembered being an adolescent and listening, late at night, to Dona and Larry talk of the future. This was when the family lived on Countryside Lane in the Baltimore County town of Baldwin. They did right by those boys and worked long and hard – moving to Chicago in 1978 where Dona attended the John Marshall Law School. She passed the bar at age 48 and for more than 20 years ran a family law practice in Woodstock, Illinois. It was a profound connection, in place for 45 years and based on mutual attraction, a respect for what the law can accomplish (Dona fiercely advocated for women and children) and a love of all things Italian, especially food. Following that passion, in 2006, Dona and Larry took a great leap toward their own dreams by buying a 450-year-old farmhouse (stone walls, sans roof) in Montecatini Alto, between Lucca and Florence. For the next decade, they put their souls and sweat into making the property a traveler’s paradise: inn, cooking school and a working olive grove. The country home was named for Dona’s paternal grandfather who was born nearby. In 2015, they made Torquato their full-time residence. A blink of an eye later, she was gone. In an email to family and friends announcing his mother’s death, Dean called the last Tuesday of January this year, “the worst day of my life. Our incredible Dona passed away today at 5:20 pm at the hospital in Pescia, Italy. A small ceremony was held on February 2 at the Santa Ripa Church in the mountain town where she lived. Though more than half of her life was spent elsewhere, Dona remained a Baltimore girl in her heart-of-hearts. 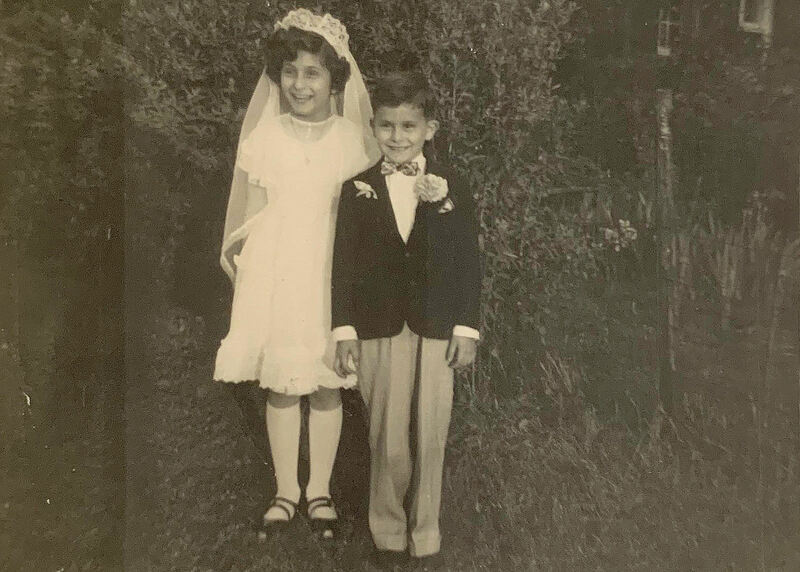 She loved steamed crabs, Berger cookies, shrimp steamed with Old Bay, Maryland tomatoes — tomato salad a family delicacy — and pizza from Matthew’s in the heart of Highlandtown, just across the park from where she made her First Holy Communion. Donations in memory of Dona Lowrimore can be made to the Breast Cancer Research Foundation. RAFAEL ALVAREZ is a screenwriter based in Baltimore and Los Angeles. He can be reached via orlo.leini@gmail.com.